With automakers packing pickup trucks with more technology than ever and more fuel-efficient powertrains, more consumers are choosing to use trucks as their sole mode of transportation. While trucks offer you with loads of versatility and capability, they're extremely behind the times when it comes to one specific aspect: safety. The Insurance Institute for Highway Safety (IIHS) put 11 crew cab pickups through its passenger-side small overlap front test and only three managed to earn a rating of Good – the institute's highest score. Starting with the good news, the trucks that did well include the Ford F-150, Nissan Titan, and Ram 1500 (specifically models built after July 2018). None of the small pickup tests that the IIHS tested earned a rating of Good. Only one pickup, the Honda Ridgeline, did well enough throughout all of the IIHS' tests to be named a Top Safety Pick. The Ridgeline missed out on the Plus designation because of the passenger-side small overlap front test where it earned a rating of Acceptable. 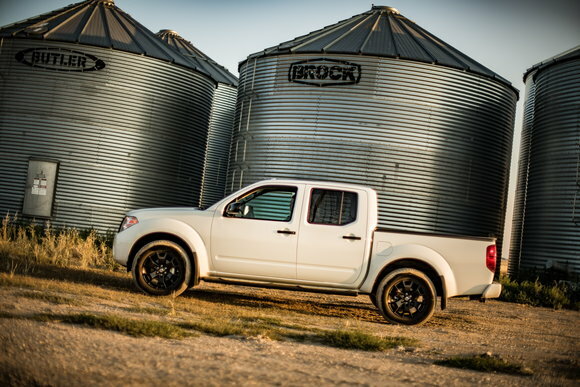 The small pickup trucks the IIHS tested included the Toyota Tacoma, Chevrolet Colorado, GMC Canyon, and Nissan Frontier. Large pickups that were tested include the F-150, Ram 1500, Titan, Chevrolet Silverado 1500, GMC Sierra 1500, and Toyota Tundra. We're not sure why the Ridgeline is classified as a large pickup truck, but it is. 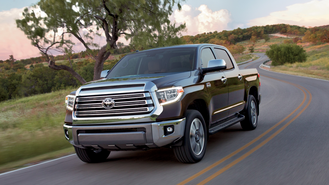 Out of all of the pickups the IIHS tested, only the Tundra earned a rating of Poor, the institute's worst score possible in the passenger-side test. Trucks that earned a rating of Marginal, one above Poor, included the Sierra 1500, Silverado 1500, Frontier, Canyon, and Colorado. When it comes to the IIHS' driver-side tests, only two trucks failed to earn a score of Good: the Tundra, once again, and the Frontier. The IIHS points a finger at the Tundra's intruding structure in the passenger-side crash test. According to its data, maximum intrusion for the Tundra measured in at 15 inches for the rightmost part of the toepan. The lower door hinge pillar had an intrusion of more than 12 inches. During the incident, the poor passenger dummy's head hit the grab handle that's attached to the A-pillar, too. For the Frontier, the pickup's structure also suffered from serious intrusion. The rightmost portion of the toepan had a maximum intrusion of roughly 17 inches, while maximum upper intrusion was 6.3 inches for the dashboard. If you're a passenger in a Frontier and you're involved in an accident, the IIHS claims that injuries to your right lower leg are likely. The 2019 Tundra comes with Toyota Safety Sense as standard. The tech suite comes with a pre-collision system with pedestrian detection, lane departure alert, automatic high beams, and dynamic radar cruise control. Nissan doesn't offer any advanced safety features on the Frontier.